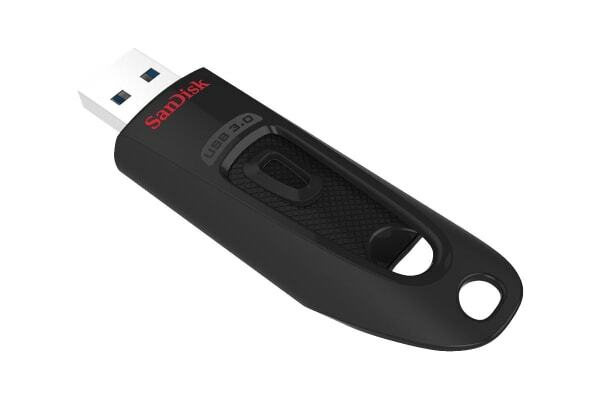 The SanDisk 256GB Ultra USB 3.0 Flash Drive combines faster data speeds and generous capacity in a compact, stylish package. With transfer speeds of up to 100Mb/s, the SanDisk Ultra USB 3.0 Flash Drive reduces the time you’ll spend waiting for files to move from the flash drive to your computer. Enabled for USB 3.0, this fast drive lets you transfer and store large files up to ten times faster than USB 2.0 drives. With 256GB storage capacity, the SanDisk Ultra USB 3.0 Flash Drive can hold all your favourite media and important documents, including high-resolution photos, MP3s, movies, presentations and graphic files.